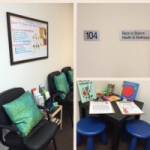 Back to Basics Health & Wellness provides evidence-based care to all their patients. Treatment protocols include but not limited to: chiropractic care, naturopathy, massage therapy, modalities, custom orthotics, and much more. Dr. Navdeep Toor and Dr. Nicole Daniels provide the best hands on care to their patients.